For the latest Alcohol version 2.0.3.6890 please use the following download. For older versions please use this download. 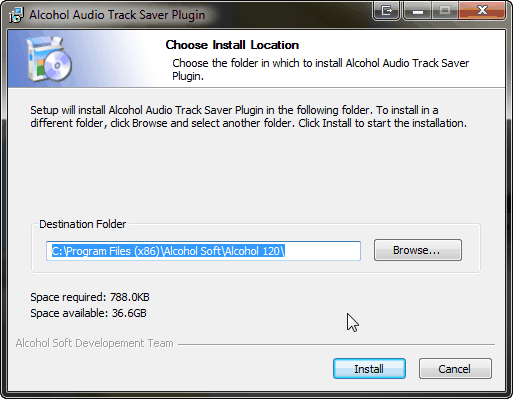 Free Downloads - Alcohol Audio Converter download. 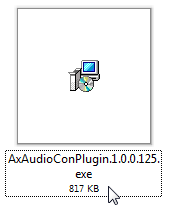 After downloading the Alcohol Audio Converter plugin navigate to the folder where you saved it and run the Setup. Dependent on your System Settings you may be asked by Windows UAC to allow the Setup to be run please allow this. You will then be asked to choose the Destination Folder which is "C:\Program Files (x86)\Alcohol Soft\Alcohol 120\" by default, if you installed Alcohol to another folder you can choose it here. Click on Install the Audio Converter will be installed, after the installation you will be able close the Setup Window. Then by using either the icon in newer versions of Alcohol or by going to Device then Audio Converter you will be able to run the program. For more information regarding Alcohol Audio Converter and how to use it please use the following links.